LAKEFRONT ESTATE HOME ON 1.75 ACRES! 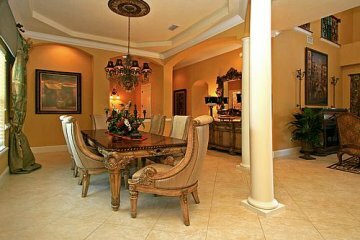 Impressive residence on grand lot with deep setback, wide circular drive with tiered fountain at entry! Great curb appeal! 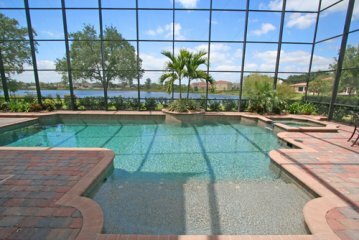 Fabulous Family Community with impressive, friendly guarded entry and dancing fountains! 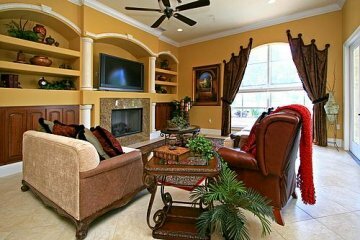 Wide, winding roads lined with beautiful homes on 1-Acre sites, with mature trees and landscaping! 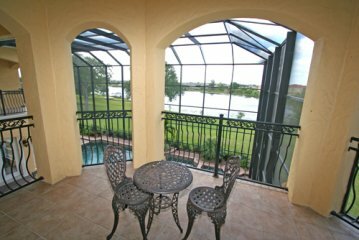 The setting is gorgeous and welcoming - only 15 minutes to Disney and all attractions!Community amenities include a private launch area for all residents into a tranquil lake where water skiing, fishing and boating will add to your enjoyment. In addition there are Tennis Courts, an attractive playground for youngsters and a Club House! One enters this impressive residence into two-story foyer and living room with dramatic winding staircase to second floor balconies. 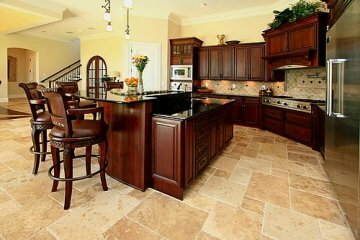 Italian Porcelain floors flow through all formal rooms, hallways and kitchen. 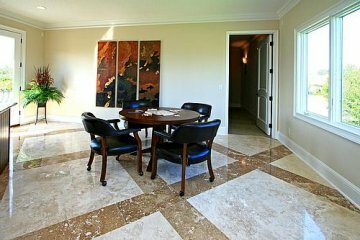 The spacious dining room has an adjoining butler’s pantry with sink, icemaker and wine-keeper room. The kitchen is outstanding with stainless steel appliances, warming drawer, trash compactor, 5-burner range, “prep” sink in an island, 9’ snack/serving bar, and rich black granite over Cherry cabinets! The Study is inviting with warm wood floors! 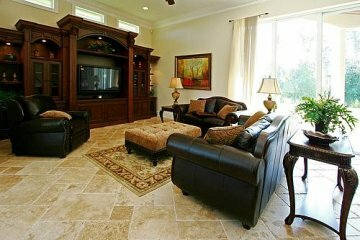 Lakefront family room boasts a grand entertainment center and gas fireplace! 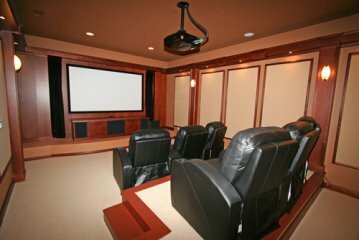 The 20’ x 18’ game room with refreshment bar, has French doors opening to the lakefront terrace. A 22’ Theater also offers a refreshment bar with refrigerator, icemaker and sink! All bedrooms are “en suite”! 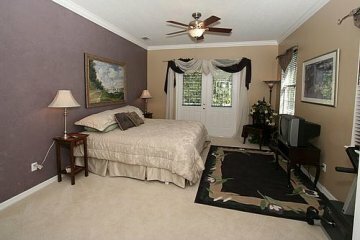 There are two (2) lakefront master suites - first and second floor. The first-floor Master measures 31’ and includes a generous sitting/lounge area with doors opening to the pool/terrace area! 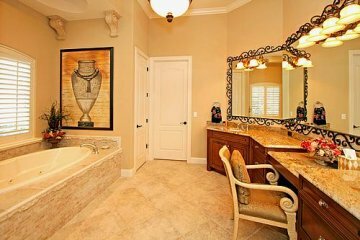 The 18’ second-floor master (or guest suite) offers a lakefront sitting balcony, fireplace, adjoining bath and large walk-in closet. In addition to the second floor master, there are also three (3) other bedroom suites, one of which also has a lakefront balcony. The outdoor area is designed for large gatherings with an oversized terrace with brick-paver flooring, an outdoor kitchen with refrigerator, sink, and gas grill with two side burners. There is also a 3-car oversized Garage. The Pool and Spa are heated! PRICE REDUCED FOR PROMPT SALE: DON'T MISS IT!